Beware, the gateway drug for future adrenaline junkies has arrived! The Bellyak was pioneered in the early 2000’s by Adam Masters when he duct taped the seating area of his kayak shut and laid belly down, body boarding the kayak down a river – perfect for those looking to pick up a new sport, try something new or create a new workout plan! Designed to be ridden lying down, kneeling, or seated without restricting straps or a confining spray skirt, you are free to roam. Why not dive headfirst into the waves? Paired with a Watershed Drybag, this is the perfect weekend outing. The Bellyak was born on the river. This board allows you to see the river in a whole new perspective, even a river you may know with your eyes closed! Riding the river on your belly as opposed to in a kayak lets you really ride the waves and be one with the water. Take your board out for a spin on the calm waters first and then try out some tricks! Pair up the sport with the Salmon Stowfloat designed to fit on a wide range of boats and floats so no worries when you go for a dip! Talk about a workout! Paddling in the ocean or through a high river can really test out every muscle in your body. The Bellyak is the perfect tool for small and large waves. When the surf dies down you can still have fun paddling around acting like a kayak, but when the surf hits, either ride the wave belly down or hop up to surf the wave standing!the Play 35 and Play 45 can be used in the surf for fun riding and catching small waves. Take your phone, a small first aid kit and fresh water along on your journey in the Ocoee Drybag. Perfect for a couple hours out on the water you can play worry free knowing all your gear is protected! 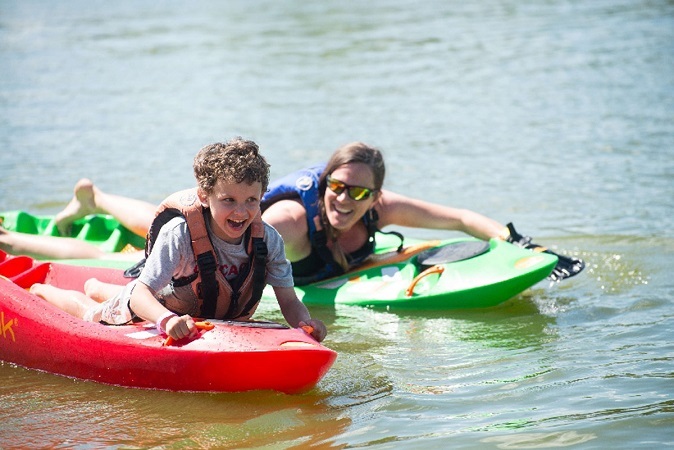 The Bellyak allows people of any ability to access the freedom and joy of water sports using the exact same equipment, with little or no modifications necessary. 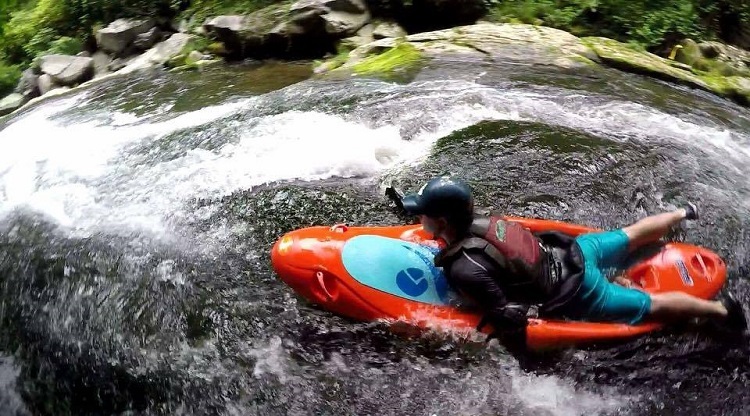 The Bellyak promotes recovery by allowing you to lay down and explore an array of options and maybe even try out some tricks! With the raised sides the Bellyak was made to keep you snug on the board with more control over your motion. 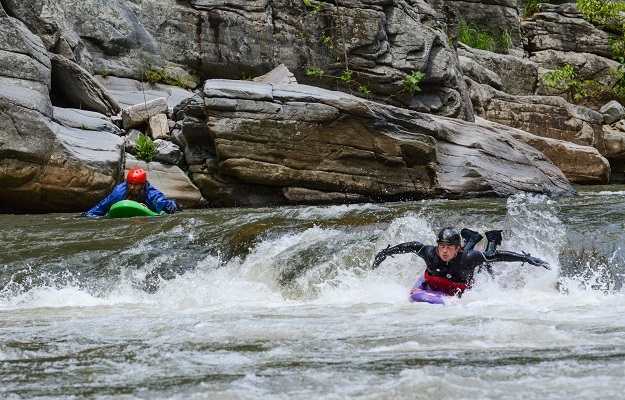 This new sport not only provides options for new tricks going down the river but also allows for many new games for either a family gathering, camp ideas with the kids or a weekend out with some friends! The options are endless, but here are some ideas to get you started. Calm water is best for these games but if you get bored a little bit of current can make a huge difference! 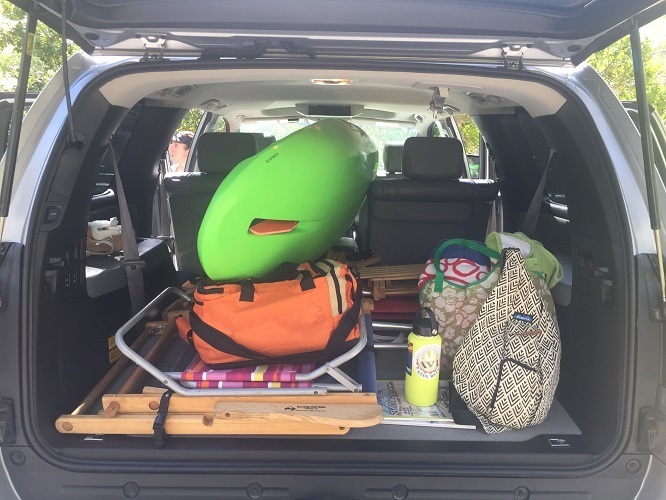 Don’t forget to pack along your Watershed Drybag and play on!